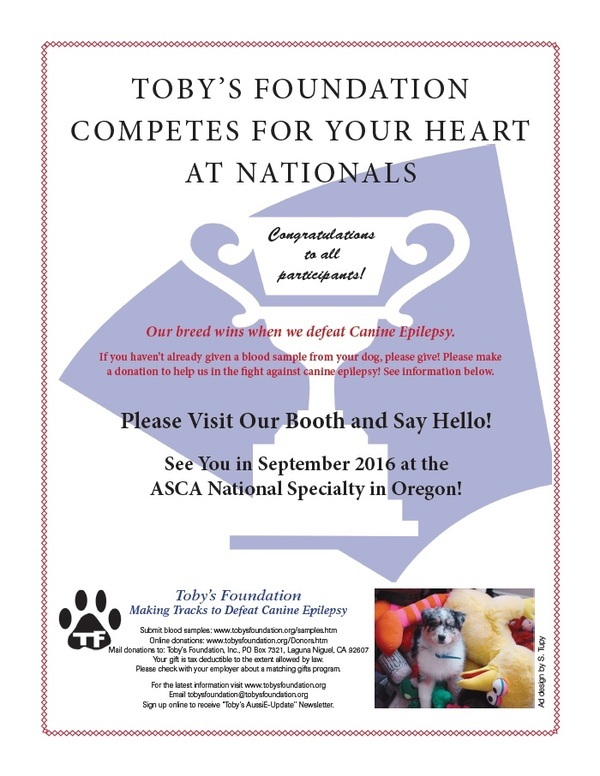 We will be at the ASCA Nationals in Albany, Oregon from Sunday, September 11, 2016 to Friday, September 16, 2016. Please stop by our booth and say hello! We look forward to seeing old friends and supporters and meeting new ones! Please support the blood draw for canine epilepsy research. The blood draw will be on Tuesday September 13, 2016 from 10:30 a.m. to 1:00 p.m.